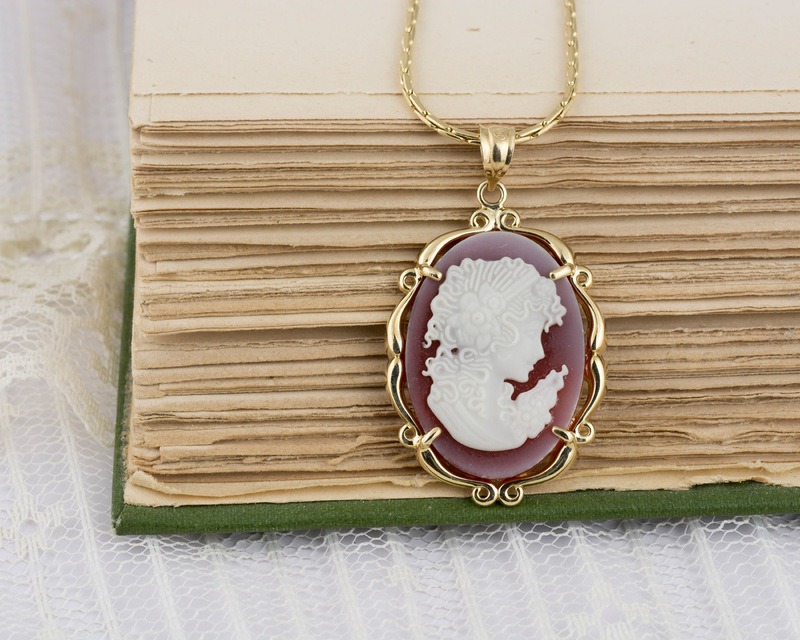 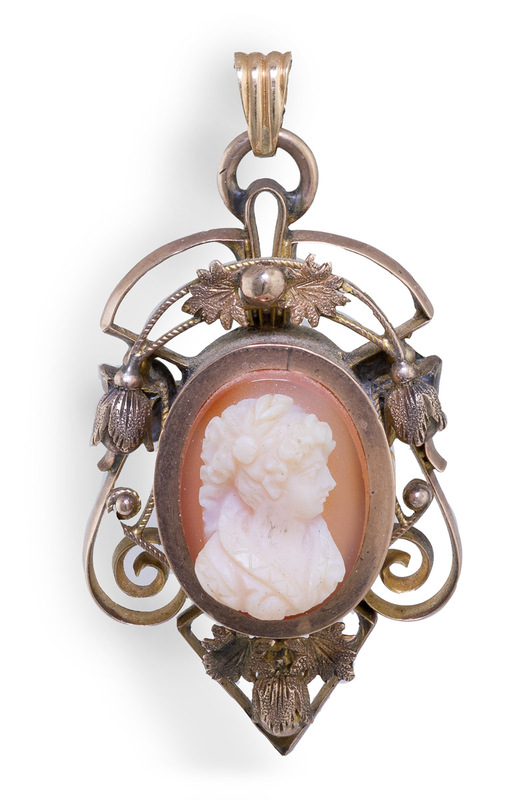 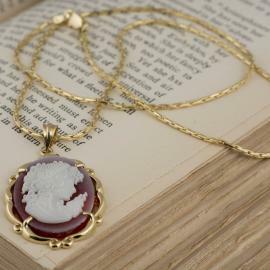 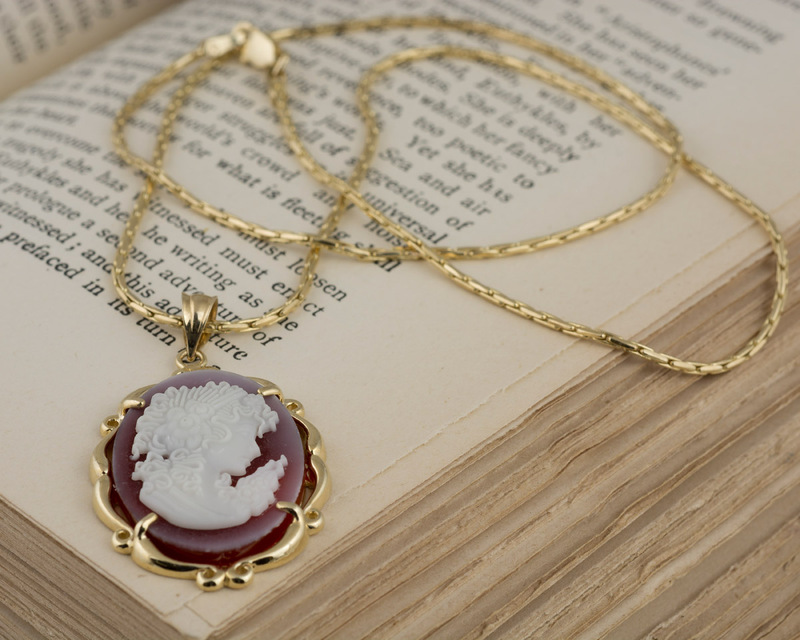 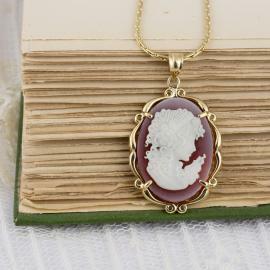 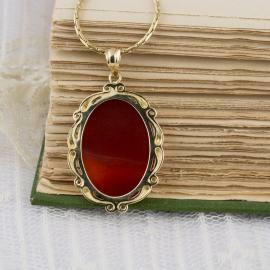 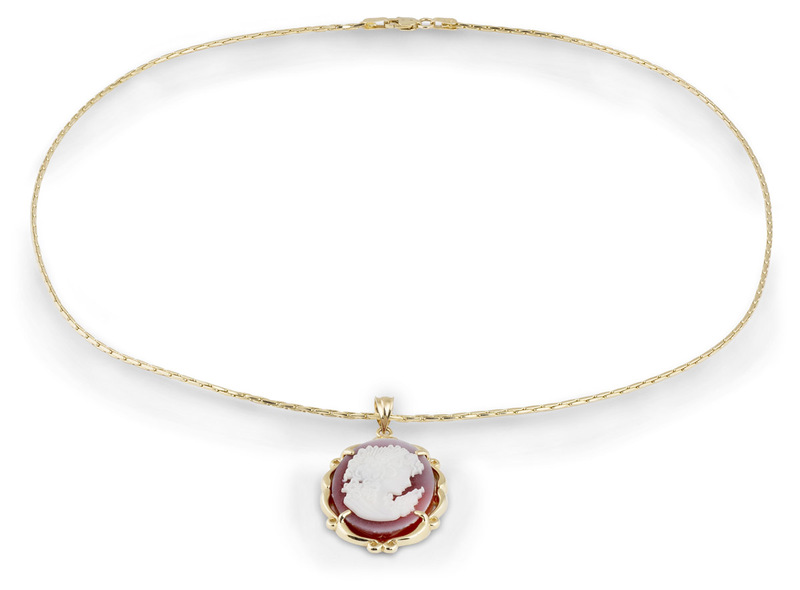 This vintage carved shell cameo pendant is truly breath-taking. 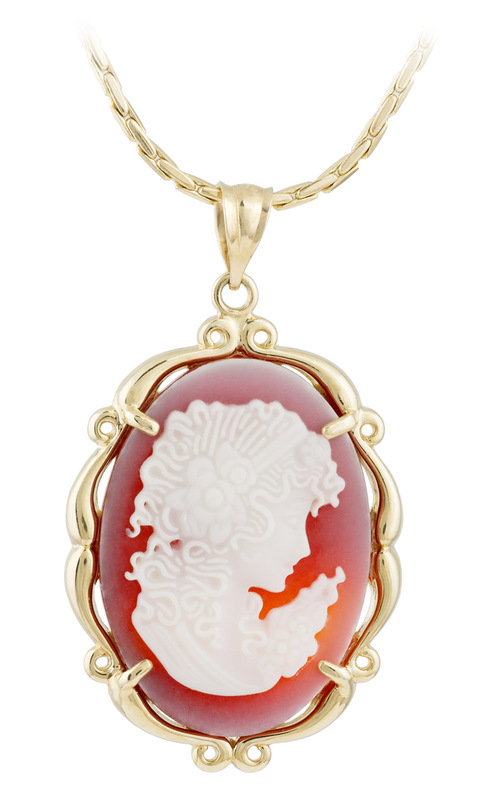 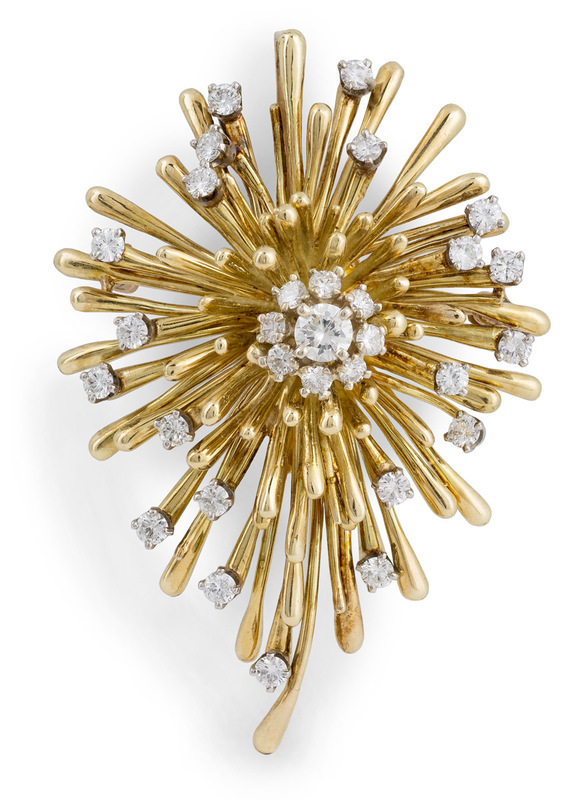 The stone is carved to perfection, depicting a lady’s profile, with great attention to detail. 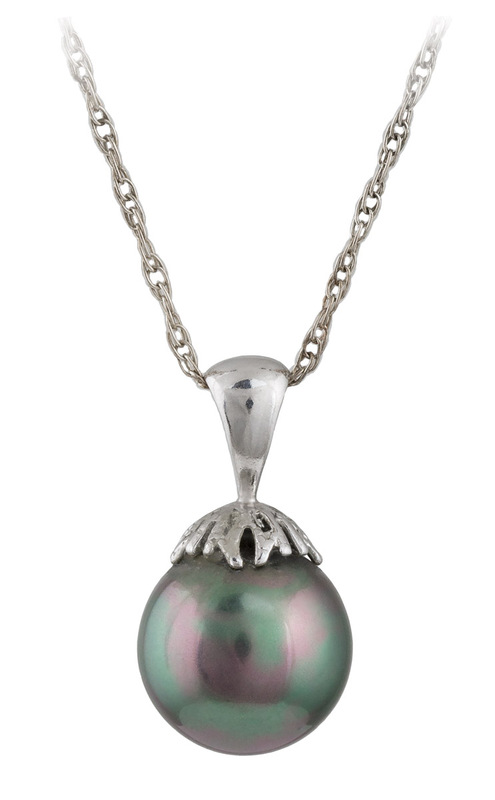 The various colors of the shell, white against shades of pink, makes for a lovely and striking contrast. 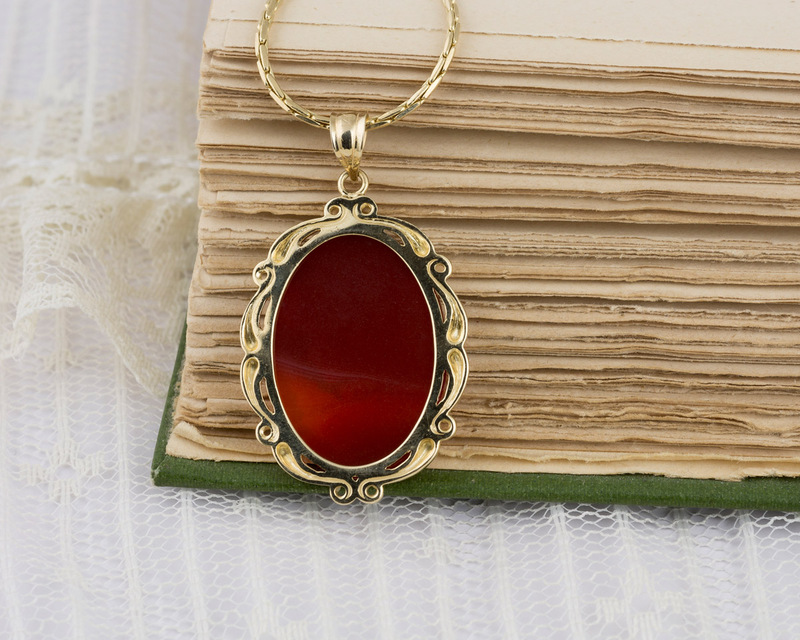 An elegant scroll-work frame sets off and finishes the piece.